Pantelis was born in Athens, Greece, into a family with a long tradition of producing fine artists. In the Greek language the name Zografos means artist and following the greek custom, Pantelis took the name of his paternal grandfather, a renowned iconographer. Both of his parents were professional artists, and he spent much of his youth in their studio in Athens. In 1971, after serving in the Greek Air Force, Pantelis moved to America. He studied at the University of Wisconsin at Madison and painted landscapes in his spare time. In 1979 Pantelis moved to Raleigh, North Carolina and nine years later he decided to pursue his love of art and paint professionally. He quickly found a favorable reception to his work which is now widely distributed throughout the USA. Pantelis occasionally paints in oils but mainly uses watercolor to depict the colorful landscapes and seascapes of Greece. He also paints local scenes and accepts commissioned work. 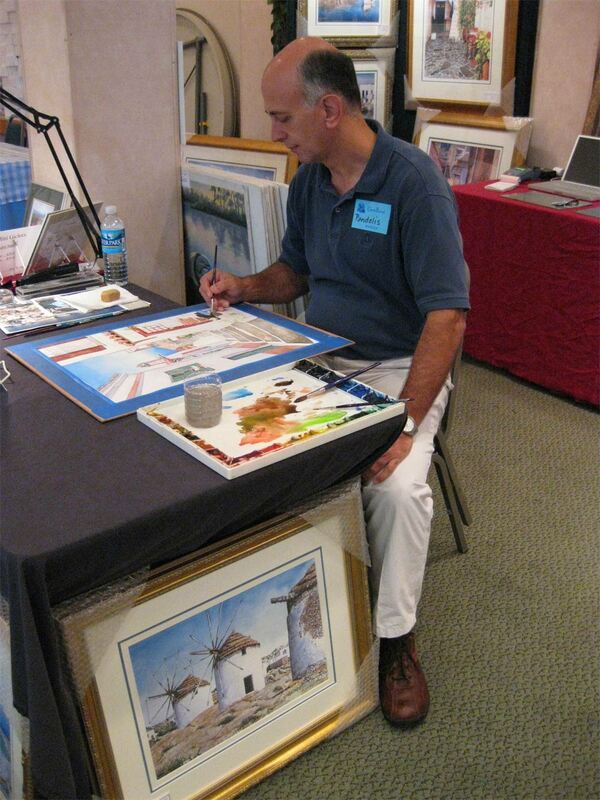 Most of his watercolors are published as a series of limited edition giclees. The original image is scanned, resized and enhanced using photo shop and then individually printed on a large format machine using only the finest archival inks and 100% rag watercolor paper or canvas. This process is done entirely by the artist himself. The giclees are then signed and numbered.